Owing to our state-of-art manufacturing unit and the usage of leading-edge technology, we are able to present a comprehensive range of UIC Standard Rail. 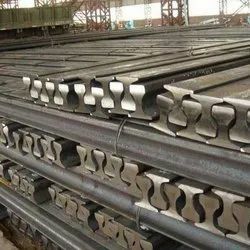 Keeping in mind current market development, these products are manufactured by vendor’s qualified professionals employing premium quality raw material and modernize tools. Apart from this, our quality inspectors perform a series of quality test on the entire product ensuring its flawlessness. Looking for UIC Standard Rail ?